When you are broke and down, you may not find reason to live, it is when you need God's love the most. This will always fills you sufficiently so that you are going to conquer all of your depression and win the broken heart. The love will give you strength to see the positive side of life, reasons to enjoy this gift of life and see the blessings of God in whatever the tribulations you are passing through. Sufficient love to restore back your strength and give you million reasons to live and celebrate this gift of life. 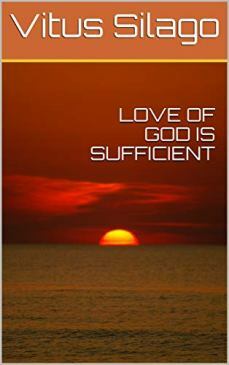 In this book you are going to find refuge in God’s love and you are going to lift your head up higher again confidently.